Khalid M Saqr , Ph.D.
Dr Saqr was born in Alexandria, Egypt in 1982. He received B.Sc. and Ph.D. in mechanical engineering from Alexandria University and Universiti Teknologi Malaysia in 2004 and 2011, respectively. Dr. Saqr is specialized in computational fluid dynamics (CFD). He has published more than 80 papers in international journals and conferences covering a broad spectrum of the theory and applications of CFD including turbulence modelling, combustion dynamics, renewable energy and most recently intracranial hemodynamics. Dr. Saqr received international recognition for his research from several organizations and universities around the world. He received the honorary affiliation of the African Academy of Sciences in 2018. He has been a visiting researcher, then a visiting research fellow and invited lecturer with UTM, Malaysia, from 2012 to 2014. He regularly receives the Distinguished Publications Award from the Arab Academy for Science, Technology and Maritime Transport every year since 2014. Most recently, Dr. Saqr has been a visiting professor with the Institute of Fluid Science, Tohoku University, Japan in the summer of 2017. Since 2010, his biography is listed in Marquise Who’s Who® biographical dictionary. In 2017, Dr. Saqr received the Albert Nelson Marquis Lifetime Achievement Award for his scientific achievements in the past ten years. Along with international recognition, Dr. Saqr has contributed efficiently to the national research priorities of Egypt. He was nominated for Egypt’s most prestigious scientific award, State Encouragement Award, for his works on the applications of CFD in modeling renewable energy systems. Dr. Saqr co-founded the Research Center for Computational Neurovascular Biomechanics (RCCNB) in collaboration with Alexandria University and the Egyptian Science and Technology Development Fund. RCCNB is the first nationwide research center specialized in vascular biomechanics with a primary objective to contribute to the brain stroke research in Egypt. Now, Dr. Saqr leads the CFD team at RCCNB to develop anatomically accurate CFD simulations of blood flow in intracranial blood vessels. In addition to his academic and research endeavours, Dr. Saqr is proactive in providing consultancy in the fields of research management and simulation systems on the national and regional levels. 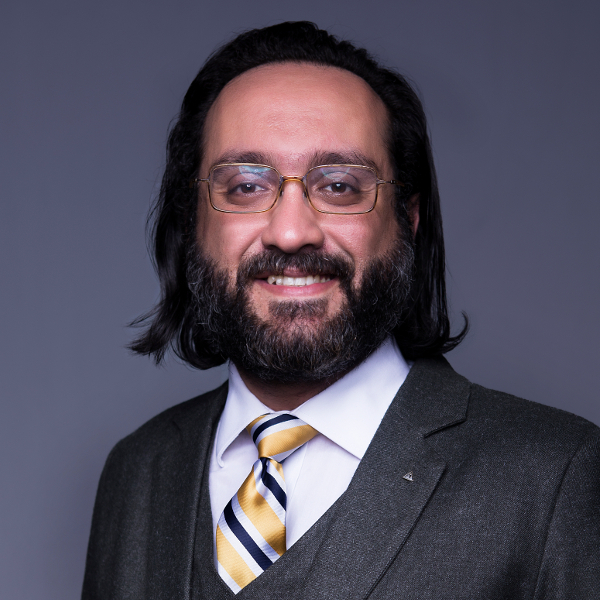 Dr. Saqr has conducted research on computational fluid dynamics modelling of blood flow in intracranial aneurysm, hemorheology and endothelial dysfunction. During his visit he has delivered two seminars to the members and staff of Biomedical Flow Dynamics Laboratory and Institute of Fluid Science. In addition, he has collaborated with the laboratory researchers to develop Direct Numerical Simulation models blood flow past stents. RCCNB is a national center of scientific excellence, founded under the CSE scheme of STDF under the supervision of the Egyptian National Academy of Scientific Research. Iham F. Zidane, Khalid M. Saqr, Greg Swadener, Xianghong Ma, Mohamed F. Shehadeh, "Computational Fluid Dynamics Study Of Dusty Air Flow Over Naca 63415 Airfoil For Wind Turbine Applications" , Journal Teknologi, Vol. 79(7), 1-6 (2017) . Iham F. Zidane, Greg Swadener, Khalid M. Saqr, Xianghong Ma, Mohamed F. Shehadeh, "CFD Investigation of Transitional Separation Bubble Characteristics on NACA 63415 Airfoil at Low Reynolds Numbers" , Proceedings of the 25 th UKACM Conference on Computational Mechanics, At University of Birmingham Birmingham, United Kingdom (2017) . S. Dajani, Mohamed Shehadeh, Khalid M. Saqr, Aly Hassan Elbatran, N. Hart, Abdel-Hamid Soliman, David G. Cheshire, "Numerical Study for a Marine Current Turbine Blade Performance under Varying Angle of Attack" , Energy Procedia 119 (2017) 898–909 (2017) . Khalid M. Saqr, Makoto Ohta, Tamer Hassan, "An Overview of the Role of Hemodynamics in Inducing Endothelial Dysfunction in Cerebral Aneurysm" , Fourteenth International Conference on Flow Dynamics November 1-3, 2017, Sendai, Miyagi, Japan (2017) . Ahmad elGibaly, Omar A. El-Bassiouny, Omar Diaa Aly I. Shehata, Tamer Hassan, Khalid M. Saqr, "Effects of Non-Newtonian Viscosity on the Hemodynamics of Cerebral Aneurysms" , 7th International Meeting on Advances in Thermofluids (IMAT 2014), Kuala Lumpur, Malaysia, 26-27 November 2014 (2014) . Ali I. Shehata, Mohamed Shokry, Khalid M. Saqr, Mohamed F. Shehadeh, "Validation of a CFD Non-Newtonian Eulerian-Eulerian Multiphase Model for Predicting Wellbore Filter Cake Formation" , 7th International Meeting on Advances in Thermofluids (IMAT 2014), Kuala Lumpur, Malaysia, 26-27 November 2014 , 2014. Khalid M. Saqr, "CFD Model Quality Assessment: Prospects and Challenges" , Invited Lecture, Universiti Teknologi Malaysia, 1 December 2014 , 2014. Khalid M. Saqr, "Turbulent Combustion Modeling in CFD" , Invited lecture, Universiti Teknologi Malaysia, 1 December 2014 (2014) . Khalid M Saqr, Mohsin M Sies, Hossam S Aly, Mazlan Abdul Wahid, "Characteristics of turbulent whirling flow in an asymmetric passage" , The 2nd International Meeting on Advances in Thermo-Fluids (IMAT 2009) , 2009, Taman Safari, Bogor, Indonesia. , 2009. It is the official journal of MENA-SINO for publication of the interesting cases in the field of strroke medicine , spine intervention, interventional neurology , neurosurgery neuroradiology. Delivered an invited lecture on fluid turbulence and its modeling. Conducting research in the field of modeling blood flow in intracranial vasculature. Conducted CFD workshop and contributed to postgraduate supervision, research and proposal writing at HiREF. The AAS recognises excellence through the election of scientists into AAS Membership as Affiliates, a programme to mentor young professionals into world class research leaders. To date AAS has recognised 330 AAS Fellows and Associate and Honorary Fellows who are proven science, technology and innovation leaders, policy advisors and thinkers who live and work throughout the continent. The Albert Nelson Marquise Life Achievement Award aims to "chronicle the lives of individuals whose achievements and contributions to their society make them subjects of widespread reference interest and inquiry". UTM Research Fellowship is awarded to outstanding researchers who contribute to the university's strategic research objectives.